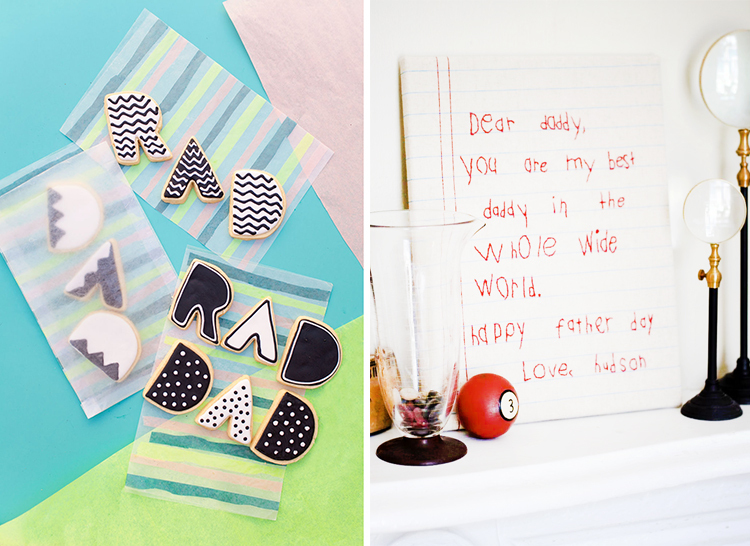 How cute are these Dad's day treats, any father would be happy to receive these hand-crafted gifts this Sunday. 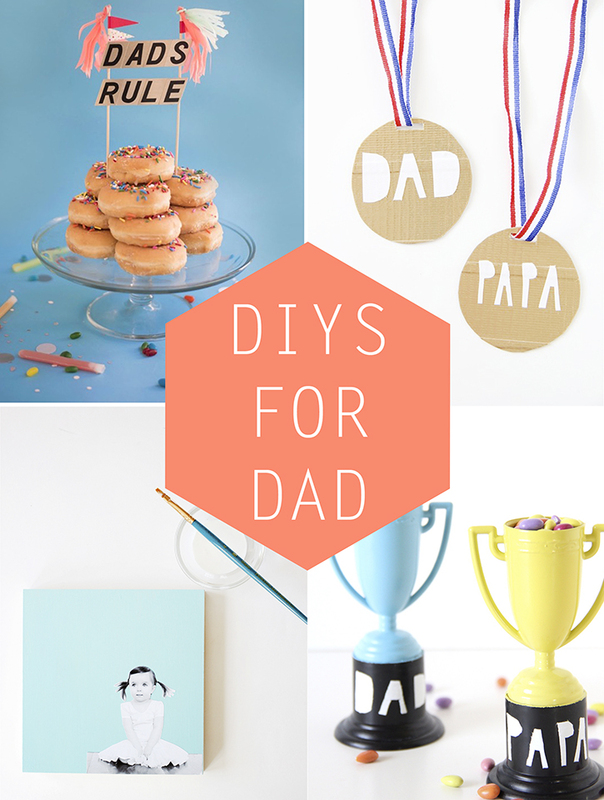 You know we love adding a personal touch to our DIY's and these all have multiple ways to make each one special to your father figure. These two are my particular favourites though, these cookies are so fun, and you could spell out any word you like, also a great one to do with the kids and let them decorate them. This adorable embroidered letter is just so sweet, a simplified version using your little one's handwriting with a simple 'I love you Dad' would be quicker to stitch up in a hurry but have just as much sentiment. What do you have planned for the weekend? We are off to spend some quality time with our Dads, hope you get to do the same.